My first experience with Cetaphil products was when I received a cleanser and moisturizer duo in one of my Fab Bags. Somehow I was not that impressed with either of them at that time. I quite liked the moisturizer as it was winter and my skin needed that extra hydration. About 3 months ago, I was looking for some skincare stuff for my mom. She has dry skin throughout the year, so I was looking for a moisturizer that would give her a long-lasting hydration. Scrolling through the online website, I found this Cetaphil Daily Advance Ultra Hydrating Lotion for Dry to Very Dry Skin. I had trust in Cetaphil, so I bought it instantly. I was glad when I mom told me how effective it was on her. I could not resist myself from using it. Also, I have been suffering from dry patches around my lips (I’ll talk about it in a different post soon), so I thought of trying this lotion out and see if that works on me too or not. Packaging- The Cetaphil Daily Advance Ultra Hydrating lotion comes in a tube packaging unlike other Cetaphil tub or bottle packaging. It has a flip open cap which makes it perfect for travelling. I quite like the packaging because it is sturdy, travel-friendly and I have a control over the dispensing. The tube comes packed in a plain carton. I like the regular clinical packaging of this product. Some things are great in their own classic way. My thoughts- I am in love with this product since I used it for the first time. Previously, I had been using the Neutrogena Oil-free Moisturizer for Combination skin which failed to protect my skin in the winters. 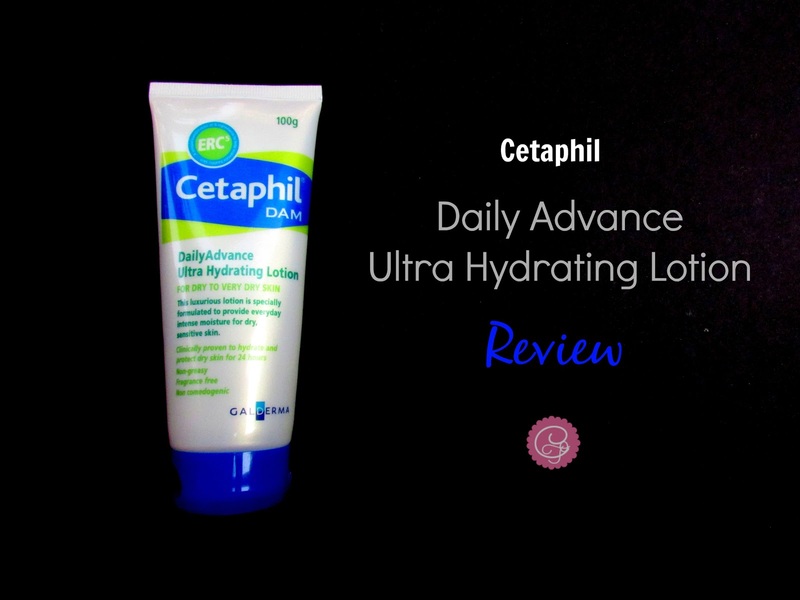 The Cetaphil Daily Advance Ultra Hydrating Lotion works really well for my skin. It keeps it moisturized for at least 10-12 hours (and more) which is great. I never had to reapply this while travelling. I use it religiously twice a day- in the morning and after shower. I don’t love the feel it gives instantly after application, it’s takes a few minutes to get totally absorbed by the skin. It might feel a little greasy right after the application but it will not after it is absorbed by the skin. Keeps skin moisturized for a long period of time. Overall, I found the Cetaphil Daily Advance Ultra Hydrating Lotion very effective for my skin during winter. I can vouch for the long-lasting hydration it gives. I recommend this product to all of those who have extremely dry skin. It penetrates deep into the skin and provides ultimate hydration for a long time. My mom loves this, my sister who has a sensitive skin also loves this. A 100g tube is enough for a person for an entire season. I will definitely repurchase this if I am able to finish it up completely before summer arrives (I don’t see it coming anytime soon). This has to be my winter skincare staple. Have you used any of the Cetaphil moisturizers before? I hope you find this review useful. If you did then don’t forget to share this post with your friends and family. I know a lot of you have been asking for my skincare routine. This is just to let you know that I am planning to post my skincare routine in parts (i.e. Morning Skincare Routine, Nighttime Skincare Routine) and that will be up next week. I will update you guys on Snapchat (sayantinee) or Facebook. Till then, be safe & keep smiling!